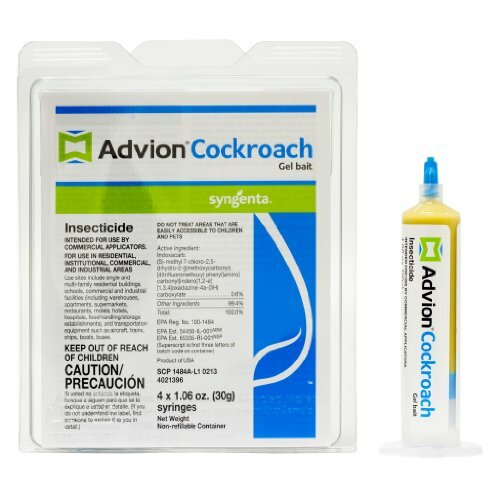 Advion® Cockroach gel bait and Advion Cockroach bait arena are high-performing products targeting all prevailing pest species of cockroaches. It combines a highly attractive, proprietary gel formulation with a potent non-repellent active ingredient. Cockroaches cannot resist this superior combination and even the toughest populations are quickly controlled. The applied as a small spot of material, approximately 0.1g (5mm in diameter), to areas not be able to be contacted by children or pets. This application can include cracks and crevices along walls or floors, behind or under equipment, under tables, within framing of tables or furniture, around sinks, within or near garbage collection areas, crawl space and cracks and crevices in cabinets.